What Kind Of Winch Is Suitable For A Flat Bed Trailer? When you are looking to transport cars in bulk to different states in US, a winch plays an important role in the game. A winch is required to move loads on and off a trailer. Therefore, you need to know some important guidelines considering the safety of the vehicles. Pulling vehicles onto a flat bed trailer will undoubtedly require pulling up on an inclined platform. This naturally adds extra resistance to the equation. Keep this in mind, when you are pulling a load which is on roll (not dragging) up on a slightly inclined plane with 3 degrees slope, the weight capacity of the winch gets multiplied by 6 times. Winching on an inclined plane is not an easy task. The steeper the elevation, the more resistance the winch takes. So, if you are using a winch with 1,100 lbs capacity and you are trying to pull a rolling load on a 3 degrees slope, with 6 inches rise in 10 feet, the winch is actually taking 7337 lbs. This is why, it is recommended that you determine the degree of slope and the load you need to pull, and then purchase a winch. Do not forget to add the gross weight of the car. For example, if you are loading quite heavy vehicles on to a five car trailer, depending on the weight you may need to add a 12k pierce wireless winch to match the load capacity. As a rule of thumb, determine first which winch will work for your situation. Always select a winch that has the ability of at least twice the capacity of the weight to be loaded. 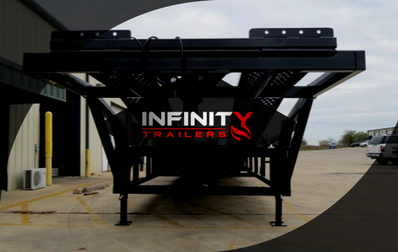 This ensures easy loading both on and off, and the platform of the flat bed too remains static and safe. Low capacity winch can cause major accident, even killing someone on the premises. Most of the winches are rated based on the pulling capacity against a static load with a single layer of wire rope wrapped around the drum of the winch. But, practically when a winch is in use and rope starts to take action, the pulling power automatically drops. Remember, a winch has its strongest pulling power on the first 2 layers of rope. Therefore, you also need to notice the type of wire used in the winch. There are different types of winches available in the market. However, if you want specific load capacity based on the trailer you must consult with the hauler manufacturer. If you liked this post, then stay connected to our blog space for further updates.